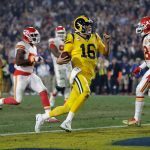 A change of location has done nothing to lower the record-high Vegas points total for the hotly anticipated matchup between the Kansas City Chiefs and the Los Angeles Rams on Monday night. 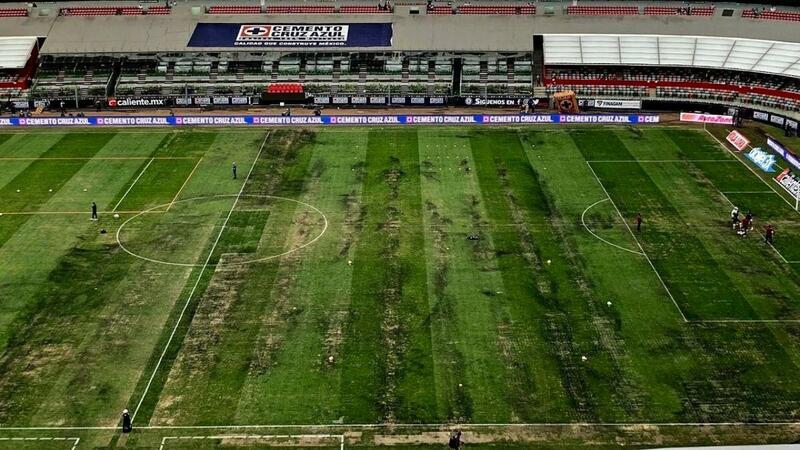 After consulting with the NFL Players Association and independent experts, officials made the last-minute decision to move the game from Mexico to Los Angeles due to poor field conditions at Azetca Stadium. Many around the league raised safety concerns after aerial photos of the sloppy turf surfaced on social media. The @Chiefs won’t play @RamsNFL at Azteca Stadium in Mexico City. The @NFL moved Monday night’s game to LA citing the field’s poor condition and potential hazards to players. 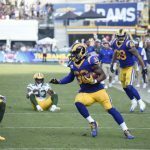 “The combination of a difficult rainy season and a heavy multi-event calendar of events at the stadium have resulted in significant damage to the field that presents unnecessary risks to player safety and makes it unsuitable to host an NFL game,” NFL VP of International Mark Waller said in a statement. Such poor conditions could have also worked to slow down two of the league’s top offenses. The Chiefs lead the league in scoring with 35.3 points a game. 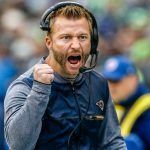 Led by coach of the year favorite Sean McVay, the Rams rank second with 33.5. Records for game totals and point spreads don’t go back further than 1986, but this is believed to be highest projected Vegas point total ever seen. The Westgate Las Vegas SuperBook opened it at 64 points, and while that’s since sunk a half point to 63.5, it’s still the highest over/under total on record. Most of those games have come in recent years. These matchups haven’t disappointed, either. Of the 11 games with the highest point totals in the past 15 years, all 11 of them have hit the over. 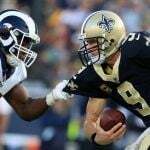 While the point total hasn’t been affected by the venue change, the Rams move from a -2.5 favorite to a -3.5 favorite, as they’ll now be playing in front of their home crowd. Any bets made on the point total before the move was announced will be refunded. The race is now on to sort all the considerable logistics involved in the last-minute decision to move a game from one country to another. The Rams organization faces the challenge of a quick and unexpected turnaround. Since they’re the official home team for this one, it’s on them to make sure things like security and concessions are all in place. It will also be a scramble for ESPN, the Monday night Football broadcaster, to change broadcast locations. Tickets for the game go on sale today, and the Rams have announced that they’ll donate thousands of free seats to those affected by the deadly wildfires in Southern California.